Don’t just swap your classic hot dogs for quorn sausages/ Linda Mcartney sausages, vamp it up a bit. 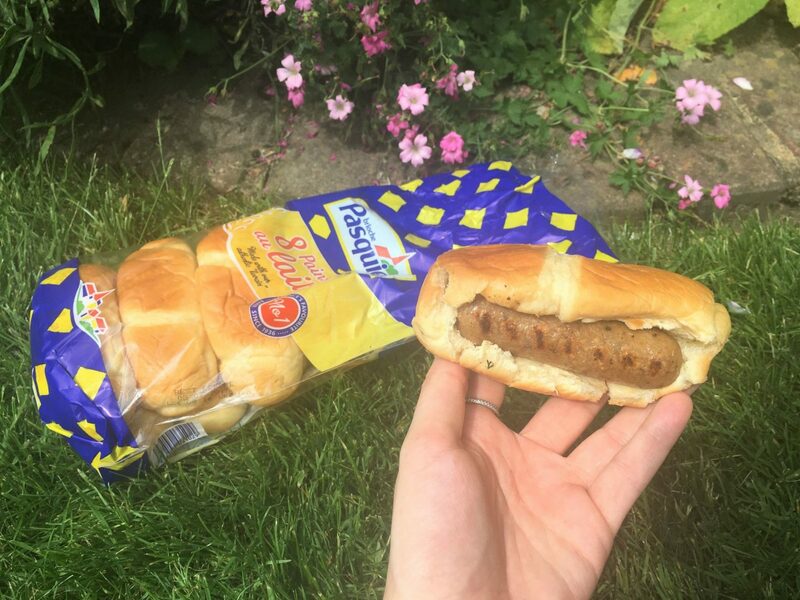 Get some of those Brioche Pasquier buns in, layer the bun up with some bbq sauce (condiment of choice), get that quorn sausage in, and you’re good to go. Maybe even toast the bun if you’re feeling a bit crazy but keep an eye on it as it can get chargrilled pretty quick. Make super exciting side salads and dishes. Gone are the days of caesar salad lettuce bags, get inventive with tabbouleh, cous cous salads, pasta salads, BBQ some mixed peppers, mushrooms and halloumi! Be wary of desserts. Quite a few summery desserts have gelatine sneakily packed away in them, including my all time fave – trifle. Some wines are actually not vegetarian – so keep an eye on those ice cold bevvys! What summer BBQ tips do you have?